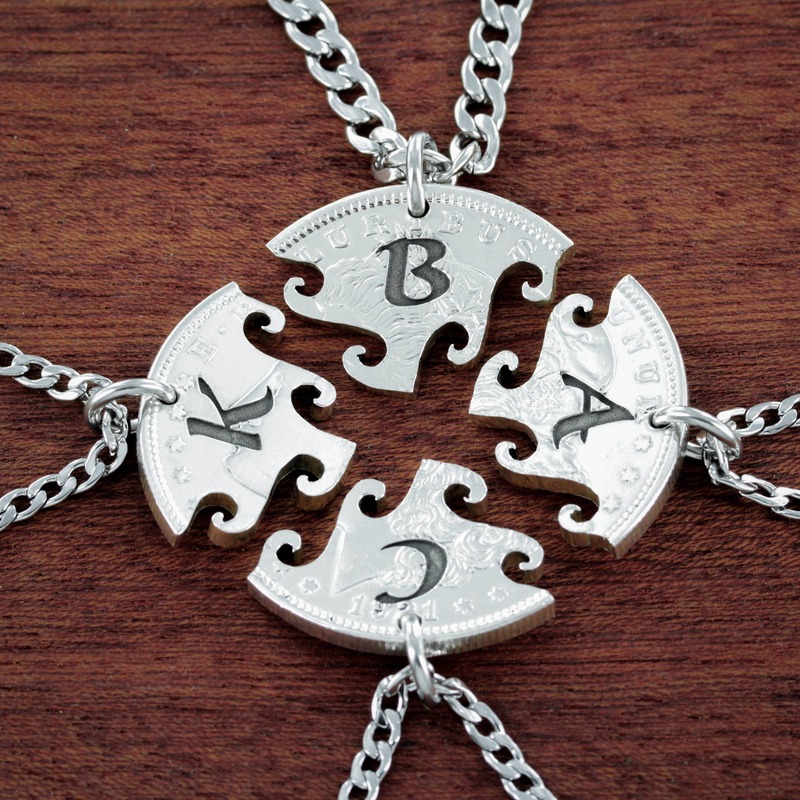 These 4 necklaces are cut from the same coin so they fit together like a puzzle. 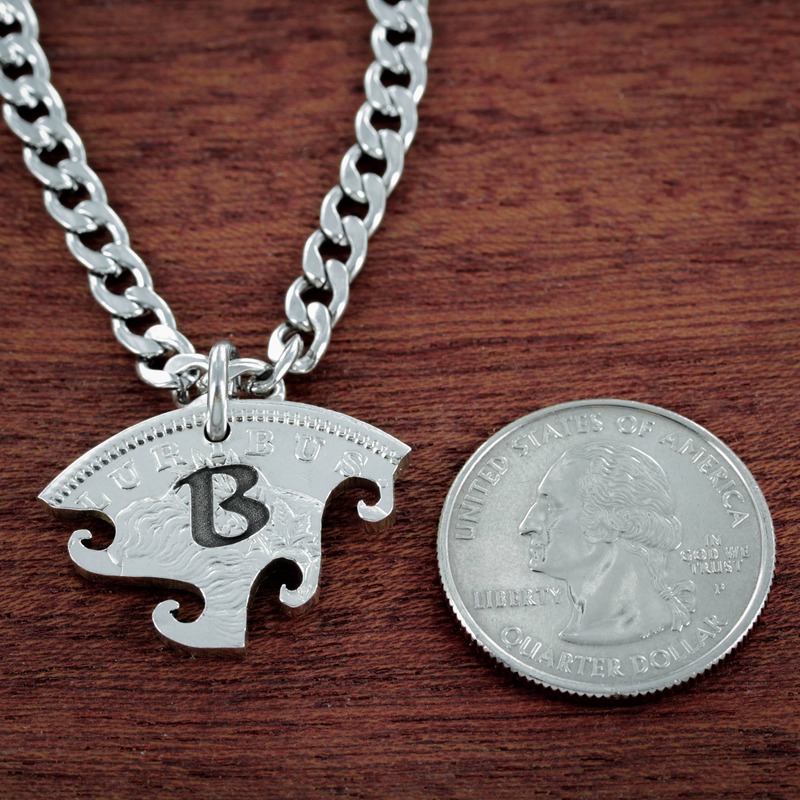 We also engrave your custom initials deeply into each piece. They are cut by hand in a swirly pattern. 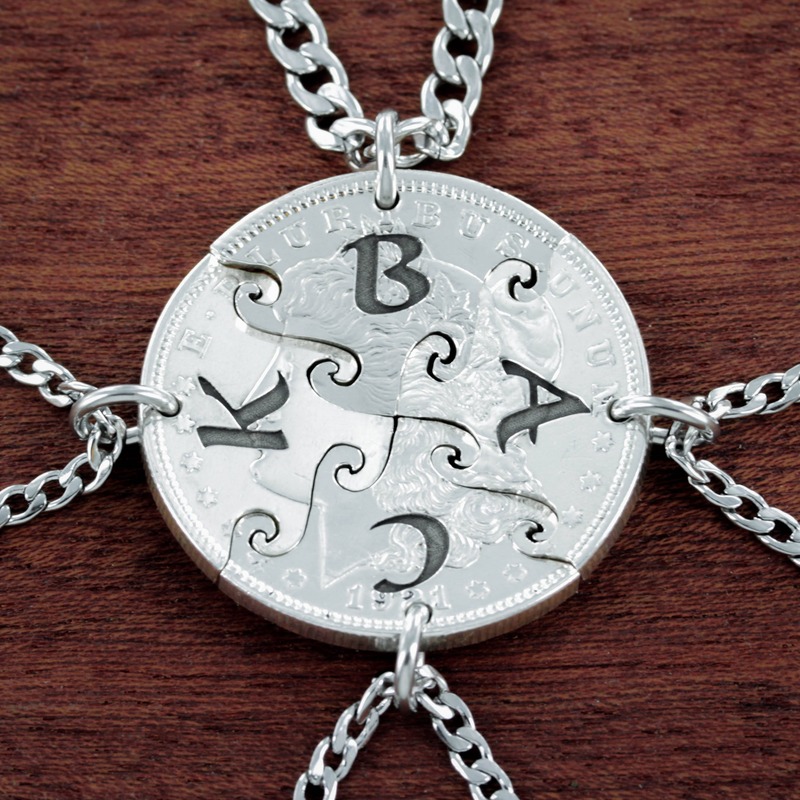 Please let us know which initials and which chains you would like for all four pieces in your order comments. The coin pictured is a silver dollar. 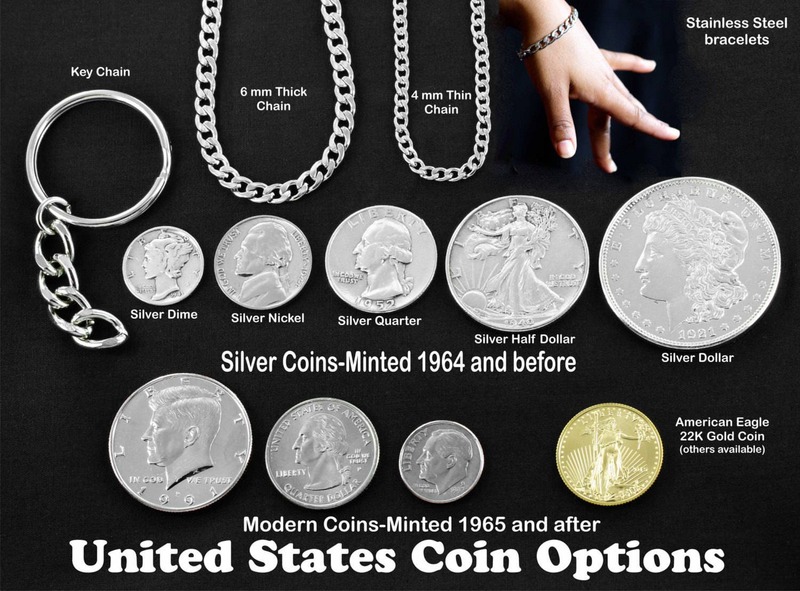 Please look at out coin options photo for a size comparison of the half, silver half, and silver dollar coins. All of our jewelry is cut by hand and by us in our workshop. We have a great team of 6; all of us care deeply that you get exactly what you want and something that you will love for years. We made our Interlocking designs because we wanted to create something that unites people. Either friends or family. 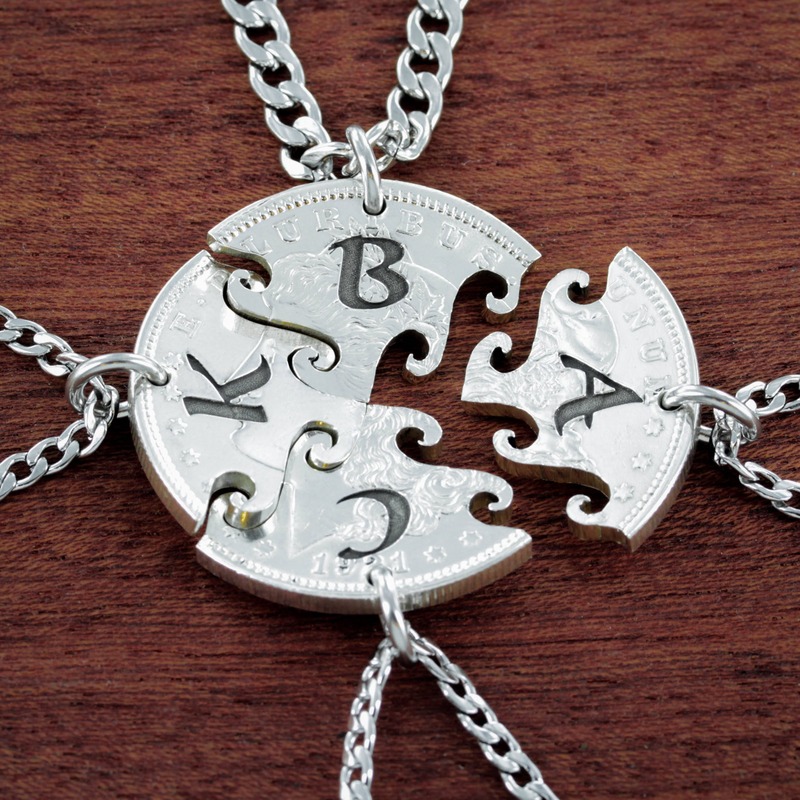 Each person gets a piece and every time they look at it, they feel the togetherness and friendship. Came extremely fast and turned out perfectly. Can’t wait to send these to my best friends spread around the world for Christmas.